After a short overnight stop in the Austrian Graz, we continued our road trip to the Plitvice lakes. These enchanting lakes belong to the list of National Parks in Croatia - but are probably the most famous, not hard to see why! We were so lucky that our hotel was located on a walking distance from Plitvice, which made it really easy for us to reach the park. During our first day, we decided to explore the lower part of the park in the late afternoon - this turned out to be the most excellent time for wandering around since most of the tourists had already left. It was a magical visit, sometimes we even had the paths completely to ourselves - with no one else around, but amazing views and the sound of nature. We loved it! Also the afternoon light was absolutely stunning for taking photos, which made photography lovers like us of course extra happy. The next day we decided to do the opposite, and arrived really really early to explore the upper part of Plitvice. This part is mostly famous for all of its gorgeous waterfalls. 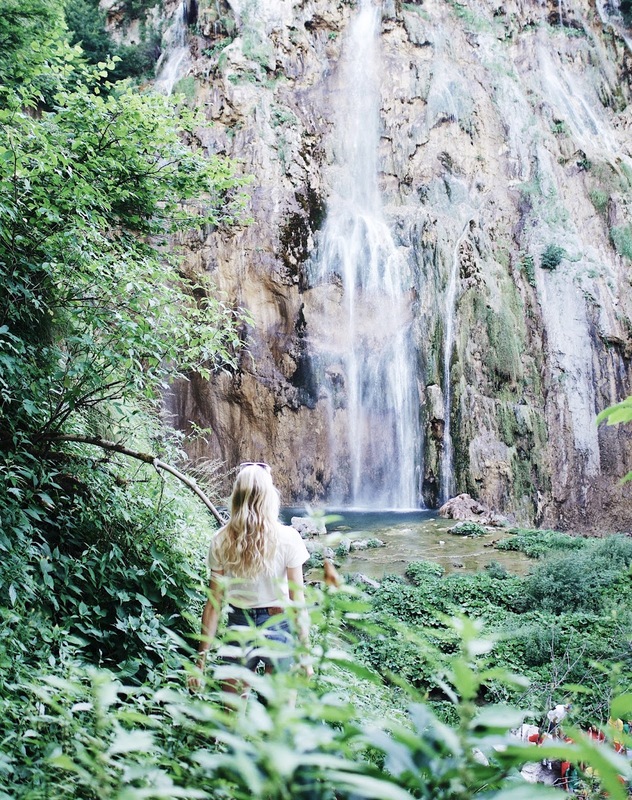 Just like the day before, we had the waterfalls to ourselves, with no one else around - so magical! We loved every second of our visit to the Plitvice lakes: the beautiful waterfalls, the enormously green plants and trees, and probably the clearest (and bluest) water ever seen.. Plitvice is definitely a gem, although it can get soooo incredibly crowded during the day (the park itself isn't that big). So definitely take this into account when visiting - this way you get to appreciate its prettiness even more! Prachtige foto's! Ik was daar ook vorig jaar, zo gaaf! Yay, my old home country! :) Beautiful photos!